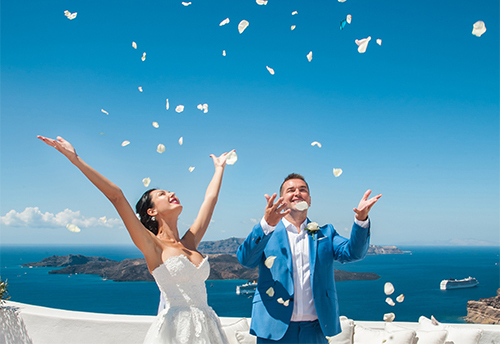 We have choose the best Wedding venues in Santorini for a perfect wedding day in Santorini. 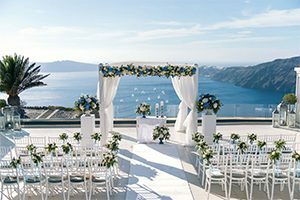 We have established a huge reputation in Santorini with our wedding planing services after 15 years. 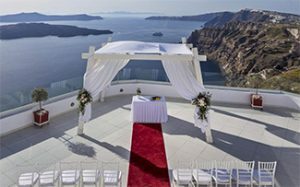 This reputation has led us to cooperation’s with all major vendors and venues in Santorini, so we are more than sure that you will receive the best services from our Santorini wedding planning team..
of the Santorini Caldera and the volcano. 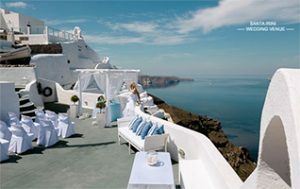 Group of guests, Heliport is also available.